Marianne Holmes was born in Cyprus to RAF parents and bounced between the UK, Germany, Kuwait and Belgium until firmly basing herself in London – well, apart from those years in the Peak District. A love of language led to degrees in Classics and Linguistics from the University of London but her desire to pay the mortgage steered her to a career in Marketing. After distracting herself in all sorts of ways over the years – sailing, flying, volunteering and running away to India – she is now definitely, absolutely concentrating on her writing. Well, that and making sure her children get fed, clothed and entertained. Obviously. A Little Bird Told Me is Marianne’s first novel. The emotionally damaged Robyn and her brother Kit initially stepped off that train into a town that felt full of menace and secrets in a slightly spooky short story. When I read it at my writing group, it prompted questions that I couldn’t answer, so I set about working out exactly what Robyn was up to, how she had got her mysterious scar, and why Kit was against their return. I chose the heatwave of 1976 for the younger Robyn simply because I had very strong memories of how that summer felt as a child. It was particularly vivid for me because we’d been living in Germany for two years and it was a shock to return and find the green fields of Sussex so parched. It was thrilling for us children to be outside so much, but over time it drained the energy of anyone with work to do and tempers were easily frayed. I can’t say that I’ve developed a ritual, but as I was squeezing my writing into school hours and snatched moments it was a joy to put on some music, read books entirely for pleasure rather than research, and immerse myself in normal life! 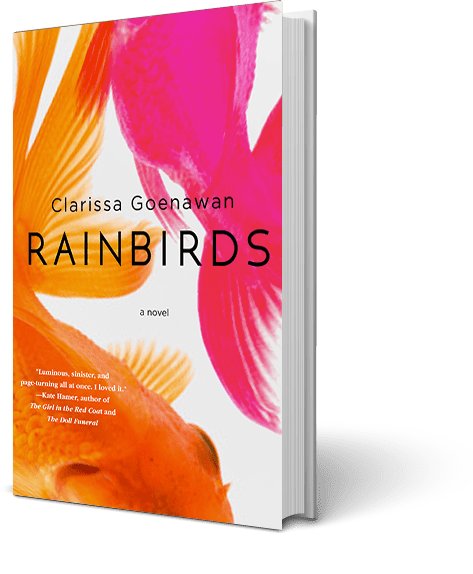 I loved Rainbirds by Clarissa Goenewan. It’s the haunting story of Ren who receives news of his sister Keiko’s sudden death and heads to Akakawa to understand why she’d left family and Tokyo for this desolate town years before. Clarissa Goenewan’s writing is lyrical and luminous and I can’t wait for her next book. This is a photograph of me reading to my brother that I snuck out of my parents’ album and into my own when I went to boarding school. He’s flushed because he had bronchitis, as he often did as a child, and this made him my captive audience. We rented this house in Praa Sands, Cornwall, for a few months one year and I remember the garden, which overlooked the sea, being full of meadow flowers. We made trips to the Merry Maidens – a circle of stones said to be maidens turned to stone for dancing on the Sabbath, St. Michael’s Mount – home of the giant Cormoran – and the tiny fishing village of Mousehole, where we were bought tiny wooden mice with leather tails. There was an illustrated hardback book that we had as children that, I think, told the ‘history’ of maths using pictures of things like the ancient Egyptians calculating how to build the pyramids and Archimedes designing his irrigation screw. That (and Asterix) kicked off my fascination with ancient history and the realisation that there was so much to learn from the past. If anyone recognises this book, I’d love to find it again! 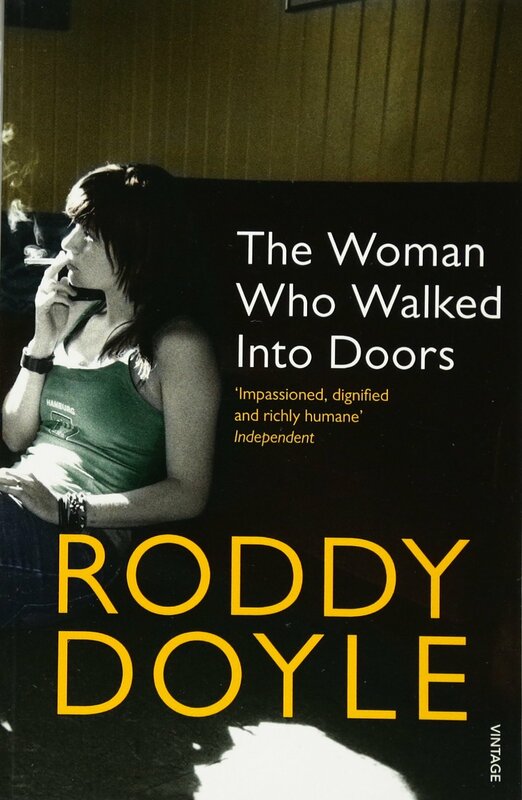 I read The Woman Who Walked Into Doors by Roddy Doyle when it was first published. If you struggle to understand how anyone could get trapped in an abusive relationship this book is a very powerful eye-opener. 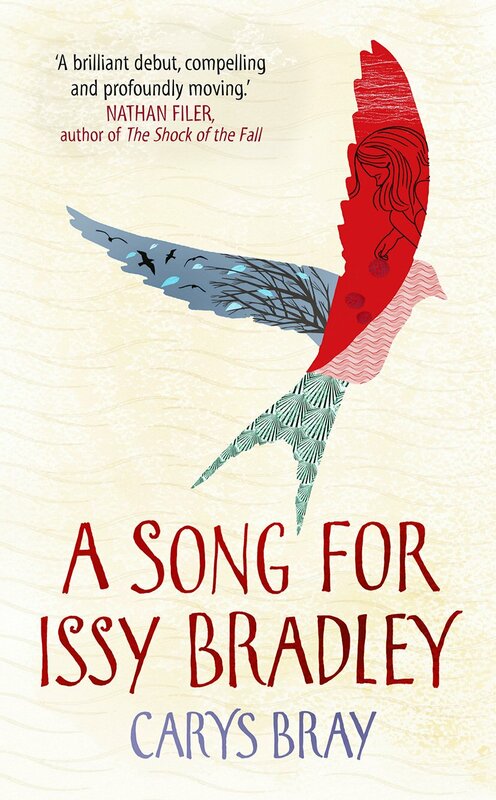 When I read A Song for Issy Bradley by Carys Bray a few years ago I was struck, not just by the loveliness of her writing, but by the compassionate way she looks at the reactions and behaviours of her characters. It made me want to try and do the same both in real life and in writing. This question resulted in many enjoyable hours spent revisiting my playlists from the 1970s and 1980s. I think top contenders would be ‘Behind The Wall’ or ‘Fast Car’ by Tracy Chapman from 1988; but I’d also like to throw in ‘A Town Called by Malice’ by The Jam and the Janis Joplin version of ‘Summertime.’ Actually, can I do the whole soundtrack, please? Translating the characters that are in my head into real living people is hard, so I must admit I asked for help here. I’m completely torn between Elle Fanning and Kaya Scodelario for Robyn. Can this be the question I ask my readers, please? Who would you choose to play Robyn? More than anything, I wanted to write a story that would carry you away for a few hours for enjoyment, for escapism or for fun. I really hope it does one of those things for you. I loved A Little Bird Told Me – great interview. Great interview! I loved A Little Bird Told Me!